If Barbie is not your thing, then how about Monster Jam! Who hasn’t seen the giant trucks smashing old junk cars in a dirt-filled arena. (And who hasn’t phantasized about having one when someone has just cut into traffic in front of them.) 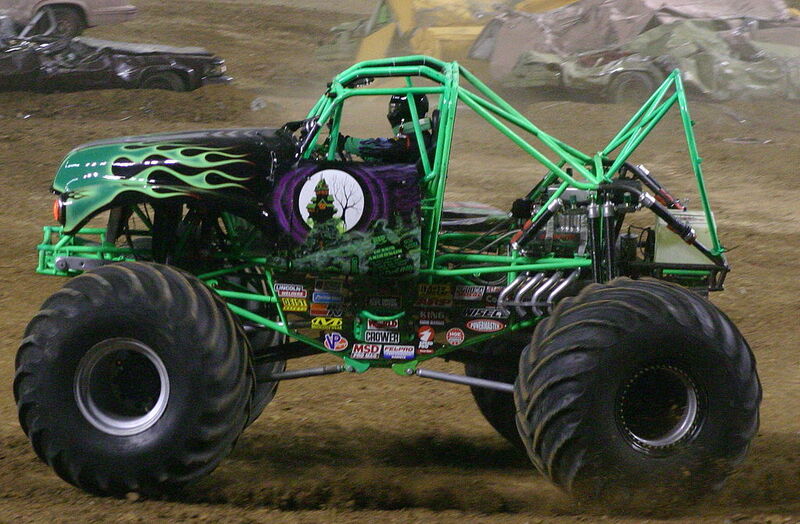 Did you know that Grave Digger, the most iconic of the Monster Trucks is from North Carolina? And is celebrating its 30th anniversary? Perhaps not the most spiritual and peaceful way to spend Easter Saturday – but at least you’ll know who crushed the eggs, I mean cars. Cheapest seats+parking for one adult/one child: $40. PNC Arena. Tickets and details here. The image above is by Tammy Powers, obtained from Wikimedia Commons. This entry was posted in Action, Machines by daddyweekly. Bookmark the permalink.